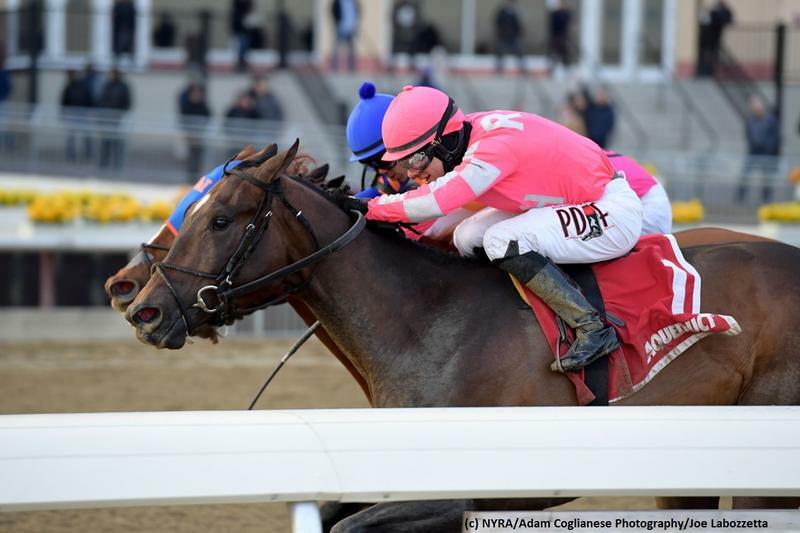 A well-matched field of 11 will vie in the $1 million Wood Memorial Stakes (G2) at Aqueduct on Saturday. The Road to the Kentucky Derby points event offers a 100-40-20-10 structure for the top-four finishers. This great betting event lacks a standout in what appears to be the most competitive weekend prep across the country. FREE Wood Memorial Stakes PPs courtesy of Brisnet.com! The Withers Stakes (G3) hero draws inside as an obvious contender in the field. The gelding has earned strong 102 and 103 BRIS Speed numbers in his last pair and is training well in preparation of the Wood. The Kentucky-bred will be forwardly placed early on. This rising star was sharp in a Tampa Bay Derby (G2) win off of a four-month absence most recently for trainer Bill Mott. The 5-2 morning-line choice figures to move forward as the one to beat in his second try of 2019. Regular pilot Jose Ortiz retains the mount. This second timer was a 15-length romper on debut and is ambitiously placed in his first try against winners for trainer Mark Casse. An unknown quantity, he will be forcing the tempo early on. This bay colt is a neck shy from being unbeaten in four lifetime races for trainer Kiaran McLaughlin. The Kentucky-bred has a potent turn of foot and will aim to prove that he can handle a route of ground in his two-turn debut on Saturday. The Shadwell homebred could get a nice pace set up beneath regular rider Rajiv Maragh. This lightly raced colt was a sharp allowance winner at Gulfstream Park in his 2019 debut. The three-year-old Kentucky-bred intrigues in his two-turn debut for a red-hot barn. Manny Franco picks up the ride. The Pasco Stakes runner-up comes in fresh with good morning drills for the mighty Todd Pletcher barn. The twice-raced colt is bred to handle the distance in his stakes debut. Owner: Michael Imperio, Rudy R. Rodriguez and Lianna Stables Inc. This need-the-lead type never lifted a foot when distanced in the Gotham Stakes (G3) most recently but is much better than his latest. The Withers (G3) runner-up will be sent from the break as the possible pacesetter among the cast. The gelding was a smart maiden winner on this course in February and takes a big class hike in the Wood Memorial. The Kentucky-bred is cut out for the distance, but he needs better to be in the running late against this group. Trainer: Saffie A. Joseph Jr. This colt has shown vast improvement in his last trio of races in South Florida. The former claimer will need to prove his class in this spot, however, in his toughest assignment to date. Eric Cancel will take the reins for the initial time. This prime contender has put in a pair of strong races this season and appears poised to be a major win contender in this spot. The Todd Pletcher pupil was second-best in the Tampa Bay Derby (G2) in his second outing with blinkers on most recently. John Velazquez riding is a positive, too. This consistent colt was a debut winner last summer, and he checked in second in both the Jimmy Winkfield Stakes and Private Terms Stakes from a pair of 2019 starts. The colt will need improvement while overcoming the widest post ion the field.